After being dormant for hundreds of years, Mt. 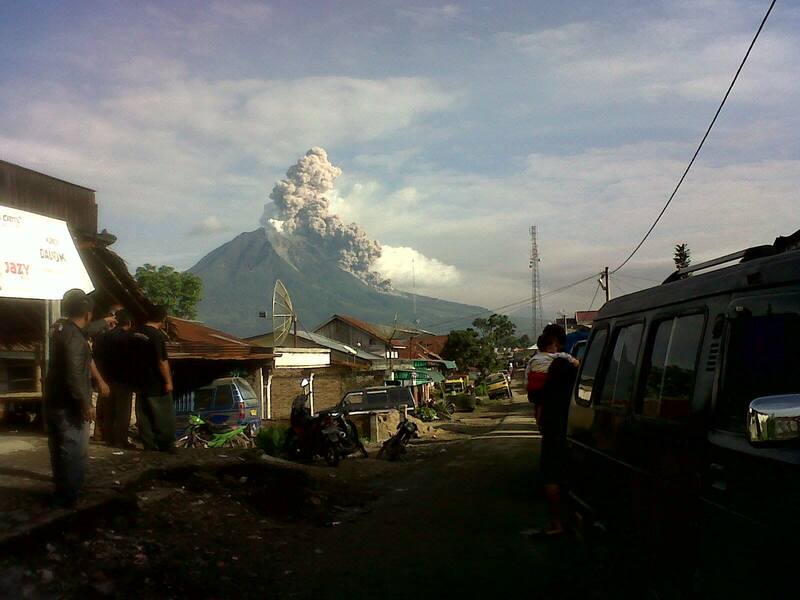 Sinabung in North Sumatra, Indonesia awoke with a bang in August and September 2010. The eruption caused thousands of people to flee their homes and created a temporary crisis. 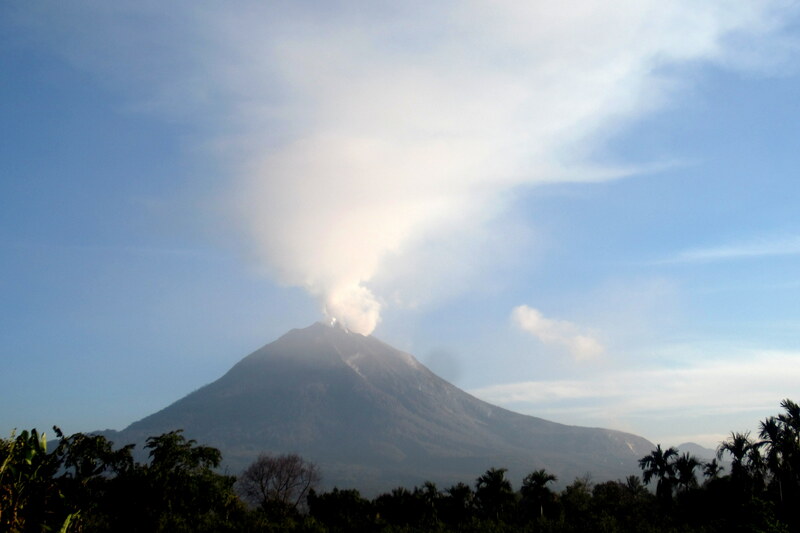 The mountain calmed until September 2013, when more eruptions—and new crisis—began. Hundreds of eruptions occurred over the following months, as the government forced evacuations and provided initial assistance to the refugees. As time passed, the ones whose homes were destroyed were promised resettlement from the government. In April 2014 I went to the Karo regency of North Sumatra to Kabanjahe, a town near the Sinabung volcano (4-5 hours by public bus from my main residence at the southern end of Lake Toba). Accompanying some of my students from the Deaconess Theological School on their practical field work, we learned about the social ministries of the Gereja Batak Karo Protestan (GBKP, or Karo Batak Protestant Church), especially those housing, feeding, and caring for thousands of still-displaced refugees from Mt. Sinabung’s eruptions. Click here for my original brief post about that time. Talking and chewing betel nut with Mt. Sinabung’s grandmother refugees. 16 April 2014. During the visit we talked with refugees in several camps, helped prepare and serve meals, and gave impromptu English language lessons to some children. The stress of being in a refugee camp was apparent for many—their homes destroyed, or in danger of being destroyed, and because of the continuing danger they were unable to attend to their crops. A life forever altered. 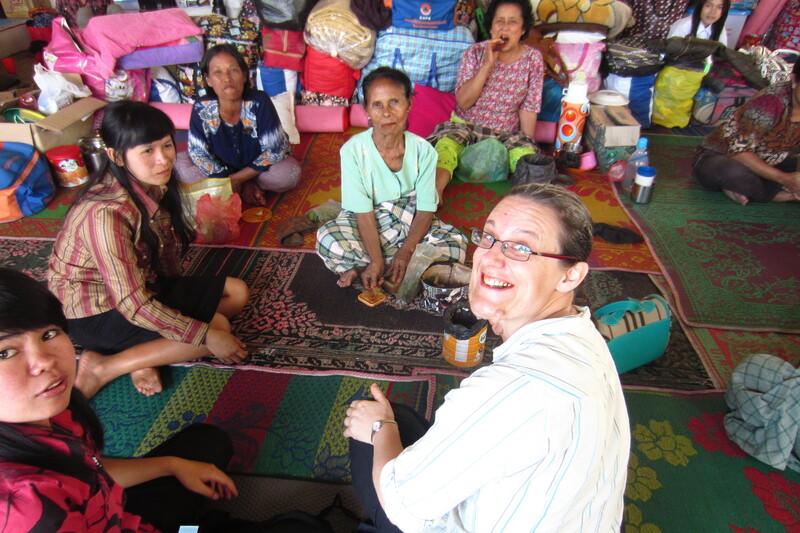 I was told that after an initial response from the government, aid had dropped off and the GBKP churches hosting camps covered most of the long-term care for the victims. It had become a normal way of operations on church properties to have hundreds of people camped out, waiting. Money and assistance promised from the government failed to arrive, and some suspected corrupted officials skimming the pot. After a few days with the ministries of the GBKP, I spent a few days with another student of mine, this one from the Nommensen University in Pematangsiantar. She is a Karo Batak and from a village about 10km or 12km from Mt. Sinabung. She inherited an orange crop, which over the last few years has suffered from damaged by ash. Pictured left is a photo she sent me earlier this year from her village. I ended my work in Indonesia and left the country in July 2014, just after Joko “Jokowi” Widodo was elected as Indonesia’s new president. Jokowi visited the Karo regency last October, spending time with some of the refugees. His government promised re-settlement for at least some of them, but assistance for some was reportedly slow to materialize. Mt. Sinabung Volcano from a village outside of Kabanjahe in North Sumatra, Indonesia. 19 April 2014. Now, as June 2015 sees more intense eruptions, the government again promises aid. It has been more than a year since I visited the region, yet eruptions continue and more people are displaced. I give my thoughts and prayers for all the victims in this continual disaster, and I do hope the government is able to follow through with relief and resettlement. With grandmothers, refugees of Mt. Sinabung eruption. There are more photos from the recent eruption here: Living in the Ring of Fire. Featured image atop this post credit to Ulet Ifansasti/Getty, from this article: Mount Sinabung Erupts Again.